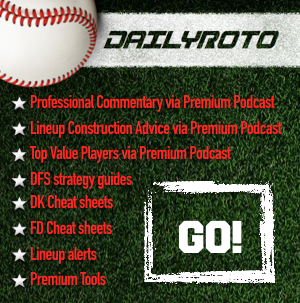 Tony Cincotta here on a Tuesday to get you ready for a full slate of DFS contests. Tony also makes you aware of a skill DailyRoto's Drew Dinkmeyer went through 4 years of college to attain. He also provides his 7/19 MLB DFS plays.